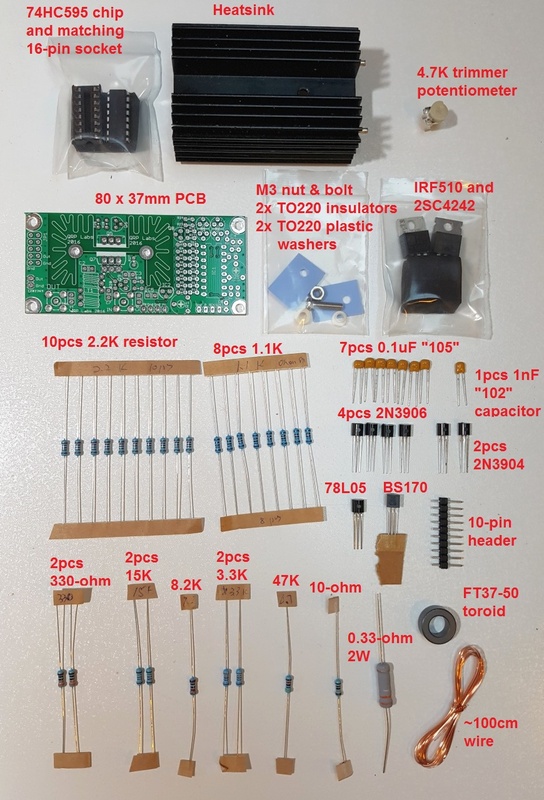 A 5W HF PA kit compatible with the Ultimate3S transmitter kit, and also for standalone use in homebrew projects. It has the unique feature of onboard raised cosine envelope shaping for perfect click-free CW. There is a discrete component power modulator with foldback current limiting, adjusted by an 8-bit DAC controlled by the microcontroller to generate the raised cosine envelope shape. 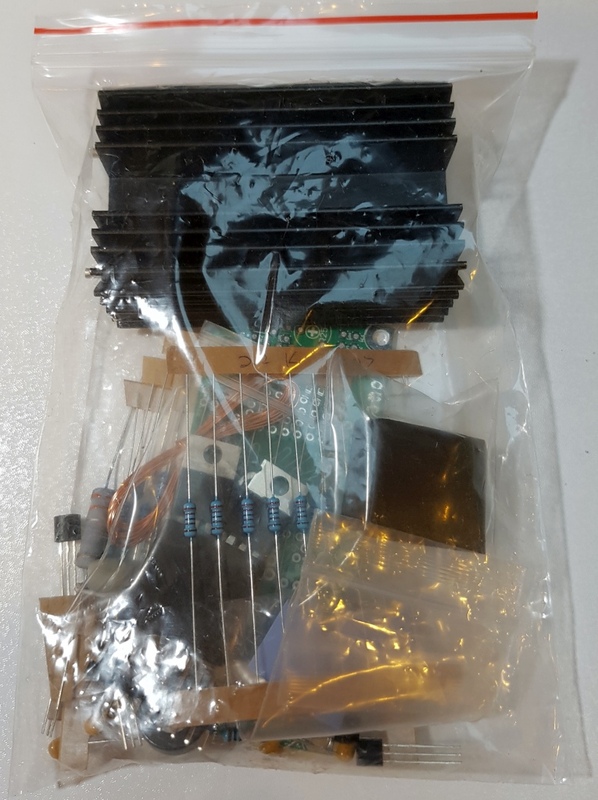 The kit can also be built in a standalone mode, with onboard raised cosine envelope keying generated by an optional ATtiny84 microcontroller. This is plugged into the IC socket on the PCB instead of the 74HC595 shift register chip. The ATtiny84 is programmed to produced the raised cosine RF envelope and also provides a key-out signal which can be used to key a driver stage. This application of the kit is perfect for use in your homebrew transmitter projects. 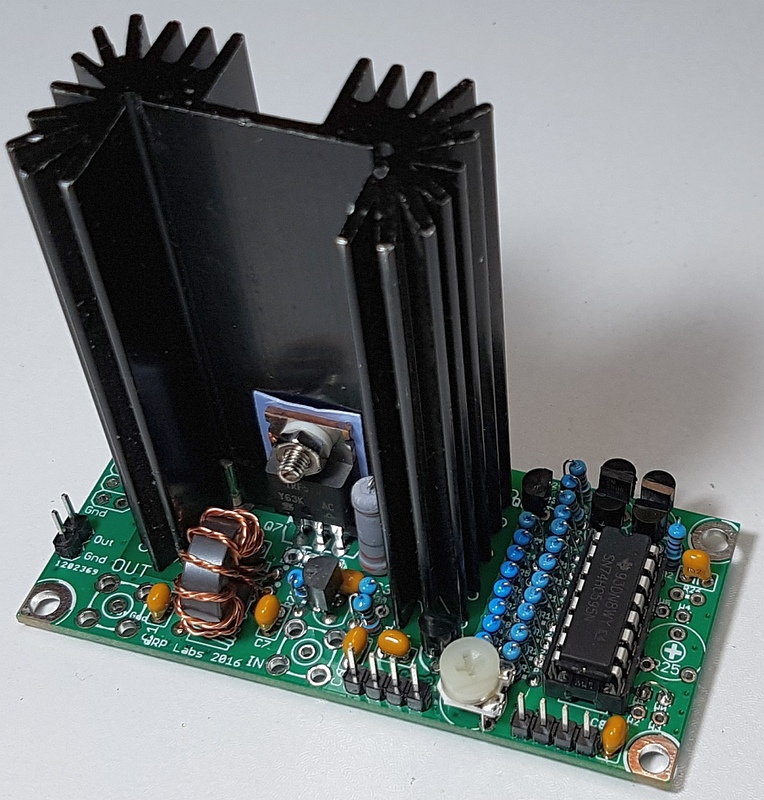 It is described in App Note AN005, which also includes discussion of a 5W CW transmitter built using the QRP Labs VFO kit and this 5W HF PA kit. The programmed ATtiny84 microcontroller is available as an option when purchasing the PA kit. This is a Class-C or D amplifier for CW operation or FSK modes. It is not a Linear for SSB purposes. It might be possible to bias it for Linear operation, this will require some experiment. Printed instructions are NOT supplied with the kit. You can download the kit-building instructions from the links below. Please click "Letter format" for US Letter size (US, Canada) or "A4 format" (rest of the world). Many thanks to Gilles F1BFU for the French translation!